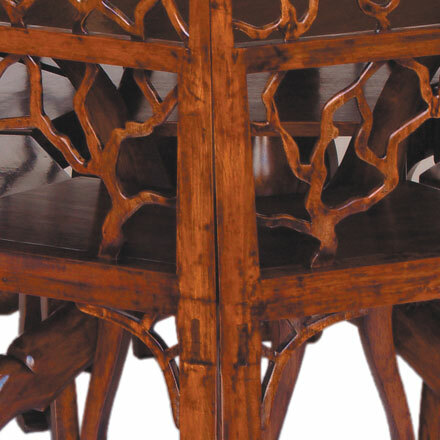 Based on a card table circa 1745, but a popular shape from the early 18th century, this walnut table and set of eight chairs feature fine decorative treatment in the carving detail. 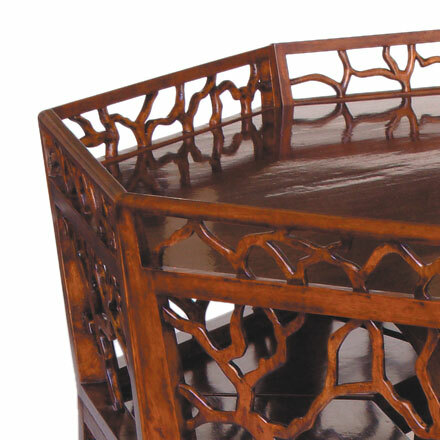 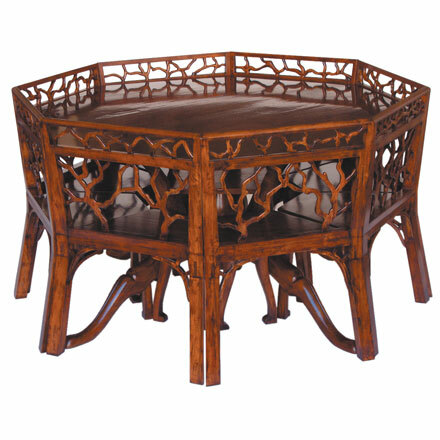 The table lags are especially fine in their sweep, with the chair seats dovetailing to form an octigon base around the figurative Walnut Tree. 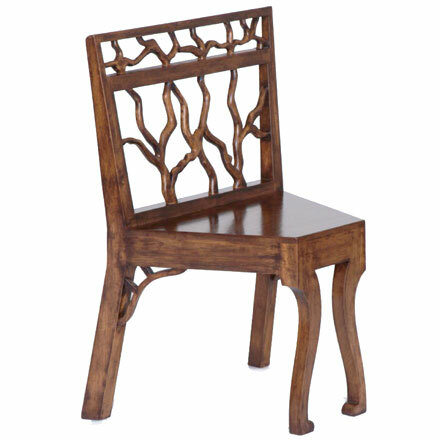 Available Finish | Hardwood with aged walnut finish.